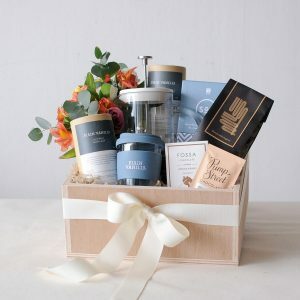 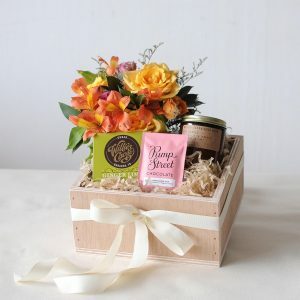 One can never go wrong with chocolate and cookies — add in a posy of bright blooms to sweeten the deal, and this gift box is sure to put a smile on someone’s face. 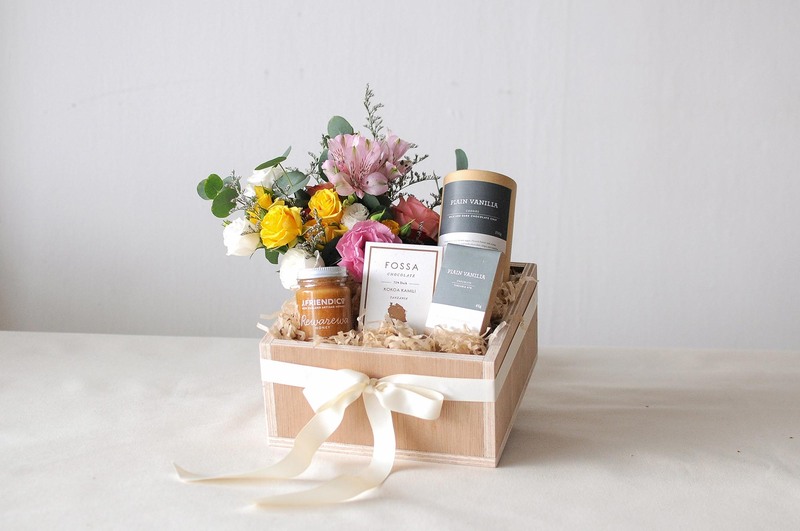 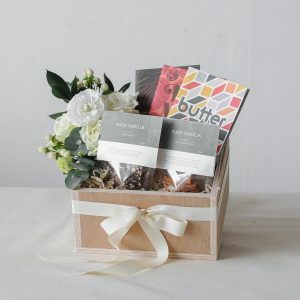 The Sweet Bites gift box includes Plain Vanilla Foods’ chocolates and cookies, made locally in small batches using quality ingredients, and artisanal organic honey made by J. 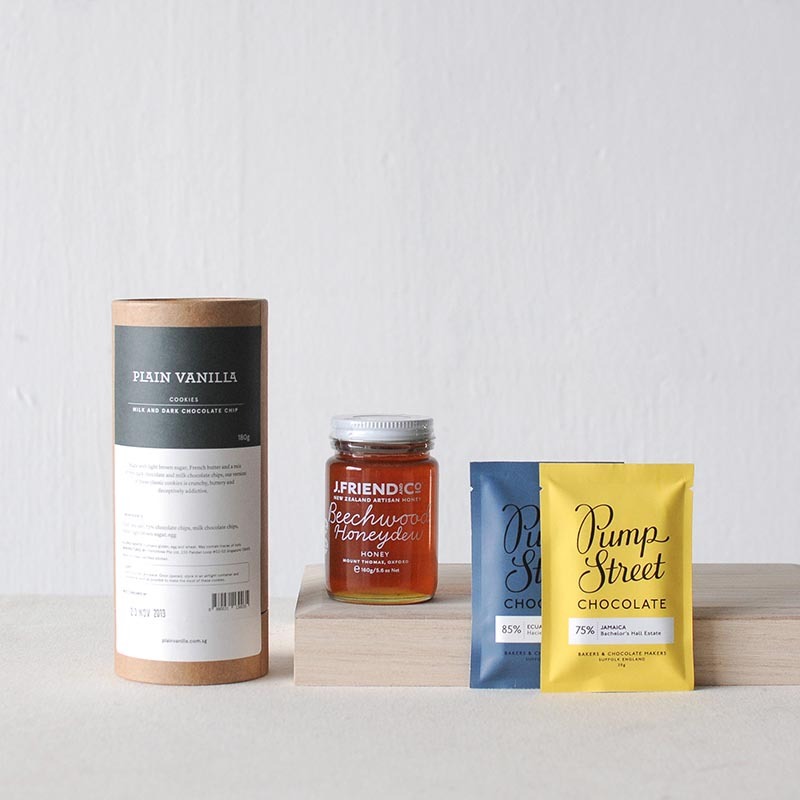 Friend & Co in partnership with local beekeepers in New Zealand. 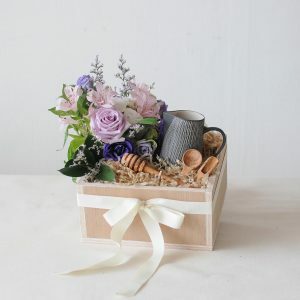 Wooden box measures 225 x 225 x 110mm.